A former longtime advisor to President Barack Obama predicted Wednesday at the 2014 Benefits Selling Expo that the employer mandate a key piece of the law will not survive. 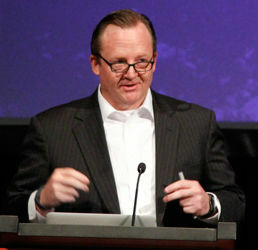 Former White House spokesman Robert Gibbs. COLORADO SPRINGS, Colo.— A former longtime advisor to President Barack Obama predicted Wednesday that the employer mandate — a key piece of Obamacare — will not survive.